CPT insulated panels are ideally suited for refrigeration and freezer applications. 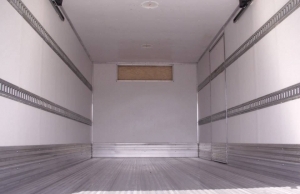 Through our innovative design CPT panels provide improved insulation, reducing costs and increasing long term efficiency in refrigerated van bodies. 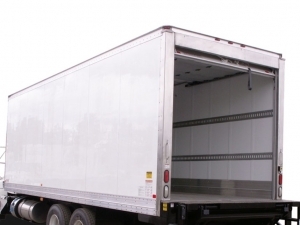 The end result is a truck body that is designed to reduce costs, increase productivity, and maximize efficiency. CPT panels are available as standard flat panels, or as flat pack complete kits that are ready to assemble. CPT can also provide units pre-assembled and ready to install. CPT truck body panels can be manufactured from a wide variety of materials, designed to meet specification and application. Panels can be laminated to provide a seamless, fastener free appearance that improves aerodynamics, increases fuel efficiency and makes the application of decals easy and inexpensive. Through the use of advanced foam core options, CPT insulated panels can be designed so efficiency does not diminish over time ensuring a good return on investment. CPT truck panels can be provided to fit into your existing system or with custom aluminum extrusions to assemble the truck in a kit form. This allows the design and usage of the panels to be extremely versatile. Composite panels are ideally suited for transportation applications because their lightweight/high strength properties allow you to maximize your fuel efficiency and increase payload. CPT composite panels offer the widest range of core and skin materials in the industry to provide custom solutions to the insulated truck body industry. CPT panels can be supplied in raw sheet form, cut for profiles and sizes, or fitted with edge trimming to make them a finished assembly. Our highly experienced sales and engineering teams can assist you in choosing the best composite panel or panel system to meet your requirements.